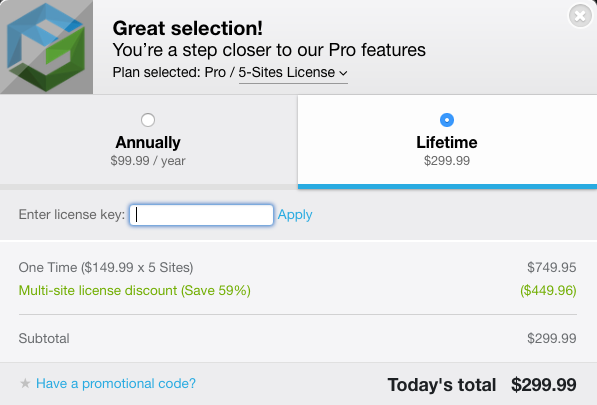 If you are an existing customer, in other words you already own a FooGallery or FooBox license, you can still upgrade your license. To do this, go to the FooGallery or FooBox page on FooPlugins. Click on the plan to which you would like to upgrade. 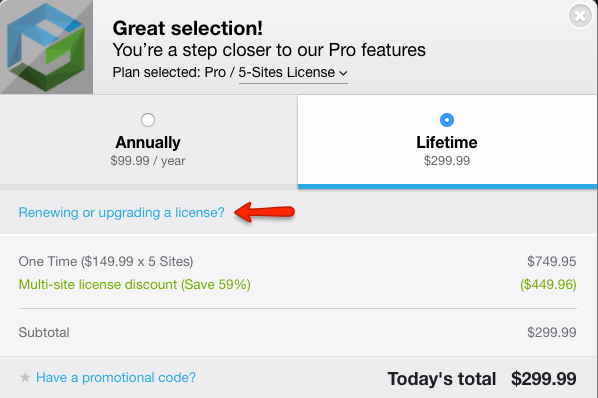 Here you'll see a question asking if you would like to renew or upgrade your license. Click on this. You'll be asked to fill in your license key. You can find your license key in the FooGallery menu of your dashboard, under the Account tab. Copy this and paste into the field provided and then hit Apply. Complete the remaining details and review your order.